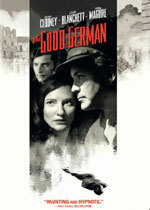 adapted as "The Good German"
Synopsis: Hitler has been defeated and Berlin is divided into zones of occupation. Jake Geismar, an American correspondent who spent time in the city before the war, has returned to write about the Allied triumph while pursuing a more personal quest: his search for Lena, the married woman he left behind. 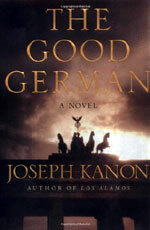 The Good German is a story of espionage, love, and murder, an extraordinary re-creation of a city devastated by war, and a thriller that asks the most profound ethical questions in its exploration of the nature of justice and what we mean by good and evil in times of peace and of war.